As reported in Guang Min Daily. YAB Lim Guan Eng bersama YB Wong Hon Wai (ADUN Air Itam) dalam majlis penyampaian wang untuk Program Anak Emas. Bayi yang dilahirkan dalam tahun 2011 akan diberi wang sebanyak RM200 dalam Program Anak Emas ini. Almost finished: Work on the repainting of Kampung Melayu flats' Block B in Air Itam is 70% completed. 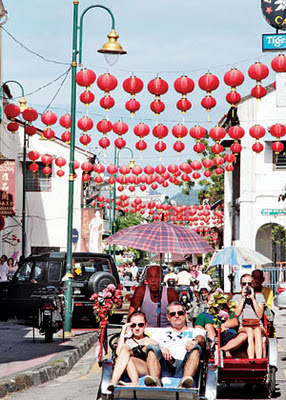 THE repainting of Kampung Melayu flats' Block B in Air Itam, Penang, is expected to be completed in a month. 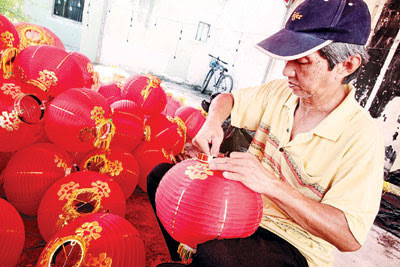 State Town and Country Planning, Housing and Arts Committee chairman Wong Hon Wai said the repainting was already 70% completed. "Much of the exterior has already been repainted, and work on the interior is expected to begin soon. 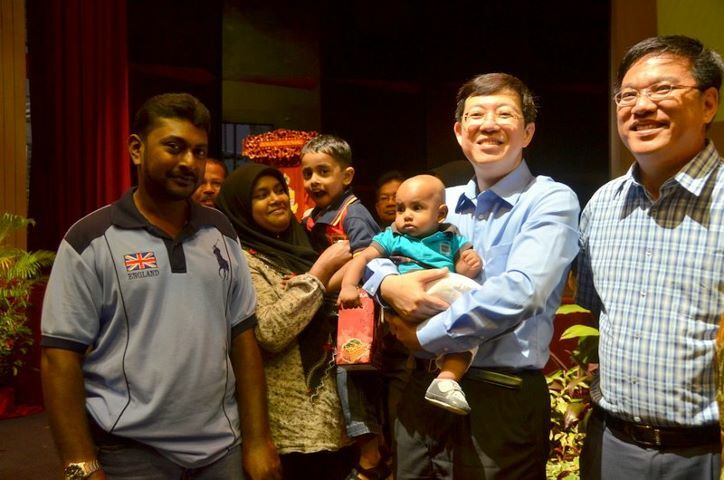 "The 15-storey flats' block al-ready looks much better than before," he told reporters after visiting the flats. The flats now spot white, beige, red, dark green and light grey colours. The repainting work had started on Oct 24. Kampung Melayu Community Development and Security Committee (JKKK) deputy chairman Arifin Abidin said he had received positive comments from the residents. "They liked the bright colours which enliven the atmosphere. "Some even joked that the flats look like an army barrack due to the combination of colours," said the retired civil servant, who had lived in the block for more than 30 years. The state government is footing 80% of the RM270,000 repainting cost while the rest comes from public donations. 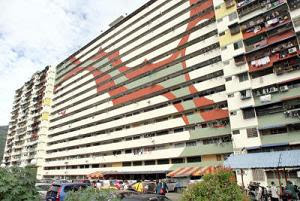 The Kampung Melayu flats consist of Block A and Block B that were built in the early and late 1970s respectively. Both blocks have about 960 units. The blocks had undergone RM1.13mil rewiring works along the corridors which were completed in June. Earlier, Wong, who is also Air Itam assemblyman, distributed schooling aid to 51 needy children from various primary schools in Air Itam. Each of them received a bag, a set of school uniform, stationery items and a shopping voucher worth about RM200 in total, sponsored by the Penang Zakat Ma-nage­­­­ment Centre. 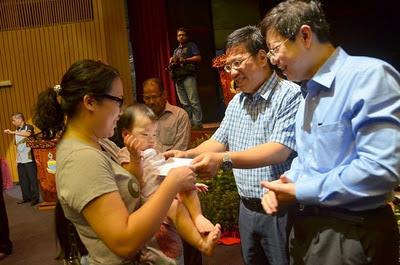 The distribution was held at the Kampung Melayu JKKK community service centre on Saturday. Single mother Shamsiah Othman, 43, said the contribution would greatly lessen her financial burden. She said the timing was just right as the new school term would reopen tomorrow. The restaurant helper accompanied her daughter Nur Athirah Abdul Halim, 11, to receive the contribution.